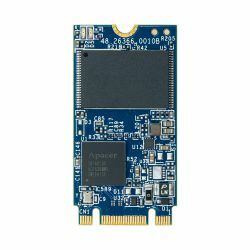 Apacer’s ST170-M242 (M.2 2242) utilizes 3D NAND for higher capacity up to 240 GB and provides higher power efficiency than 2D NAND, with the aim of becoming more suitable for mobile and compact computers with standard width at only 22.00 mm. ST170-M242 appears in M.2 2242 mechanical dimensions and is believed to be the leading add-in storage solution for future host computing systems. Regarding reliability, ST170-M242 is implemented with LDPC (Low Density Parity Check) ECC engine to extend SSD endurance and increase data reliability while reading raw data inside a flash chip.